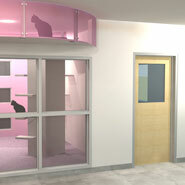 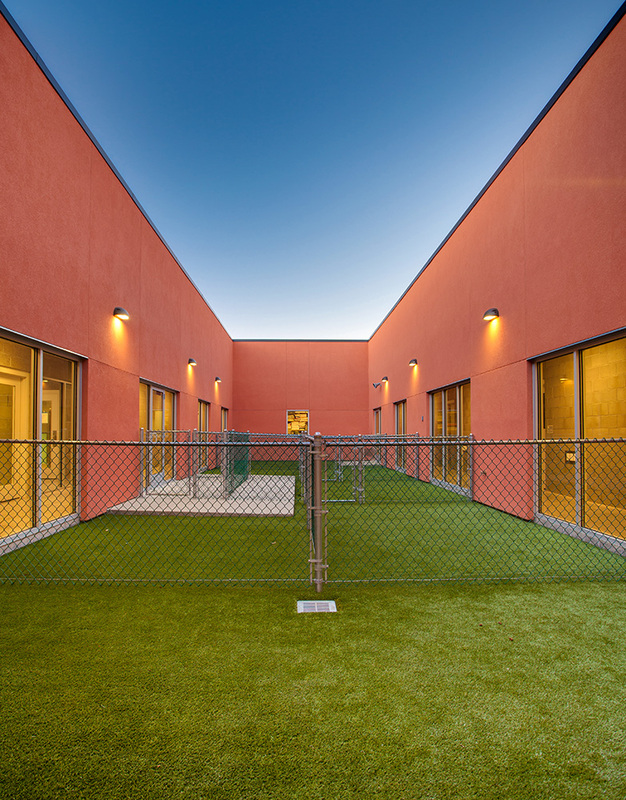 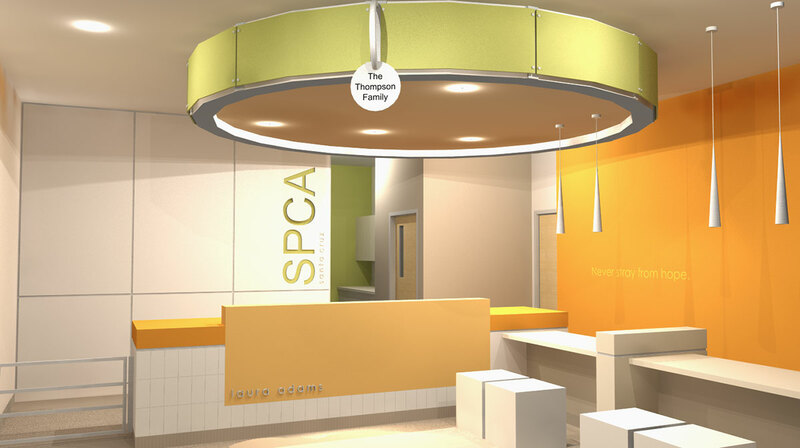 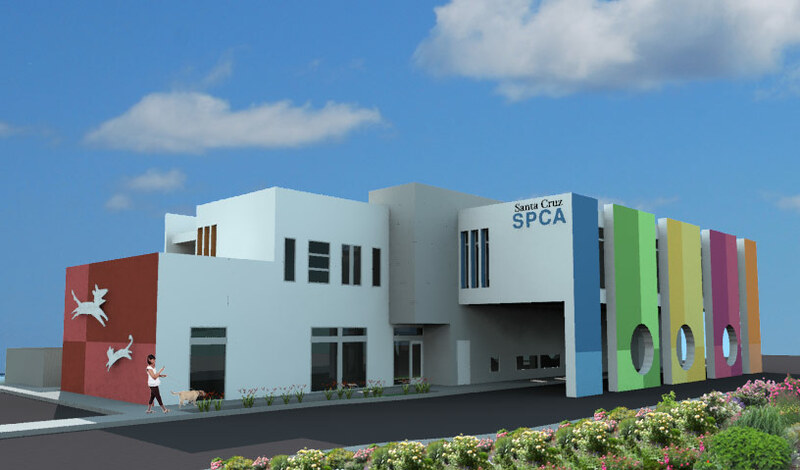 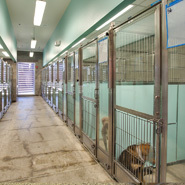 The ultimate design goal of every BDA shelter is to see that animals entering through the back door leave out the front as part of a new happy family. 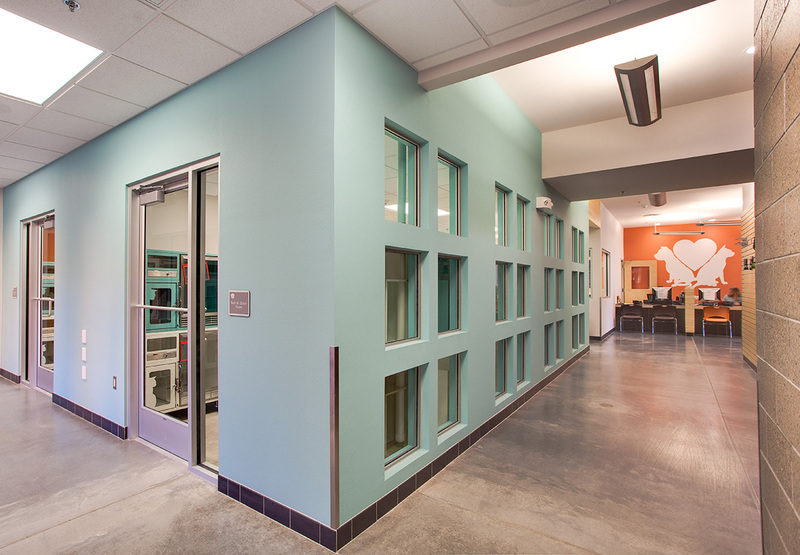 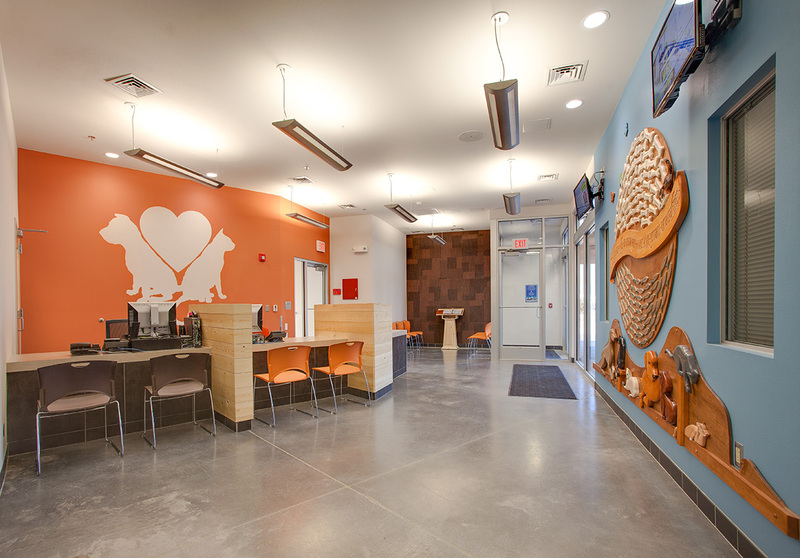 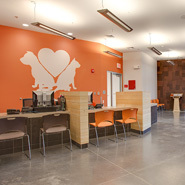 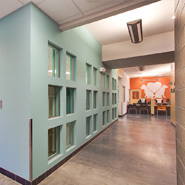 BDA designs healthy environments that calm and comfort pets with light and color that encourages visitor interaction and adoption. 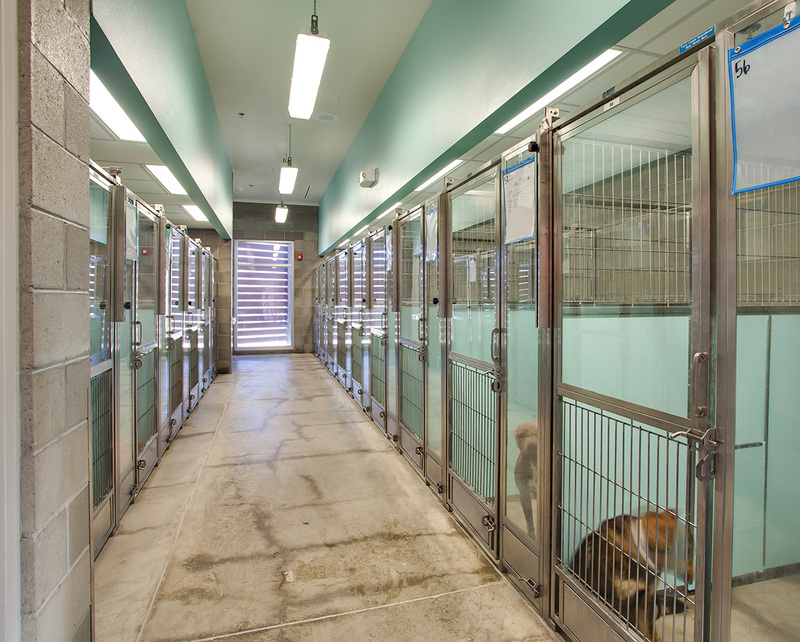 Our adoption focused designs are engineered to be odor free with specialized features to prevent disease and control potential pathogens. 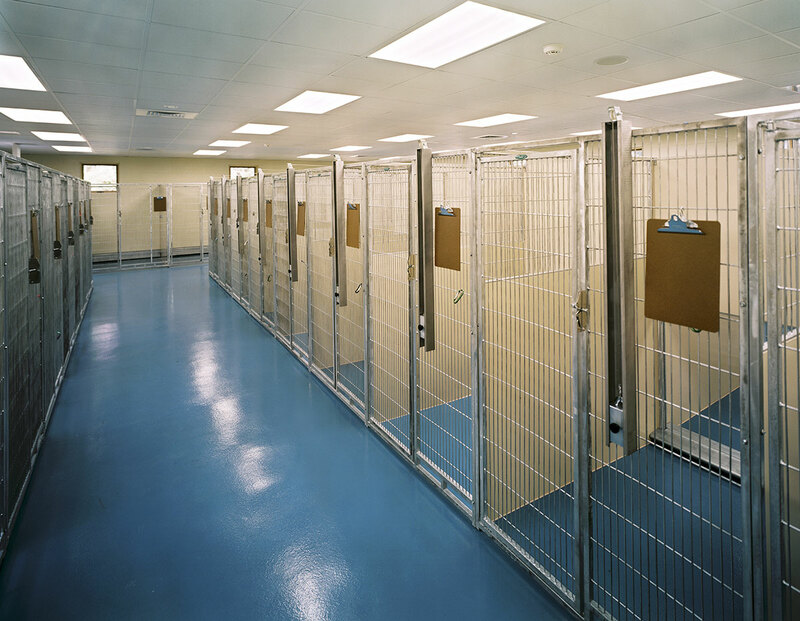 Acoustic control is another primary focus, and measures are taken to promote quiet spaces as well as specific design features to control pets in environments that minimize the causes to begin barking. 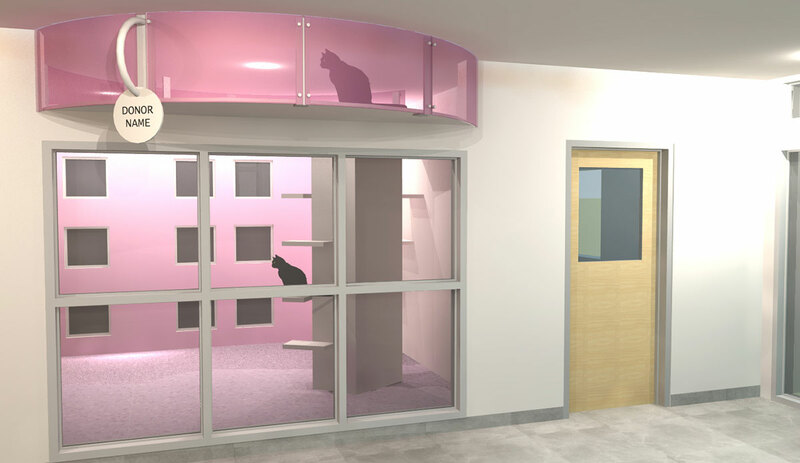 Feline accommodations receive equal design efforts, and great care is taken in providing housing that encourages their curiosity, yet allows them ample opportunities to find comfortable privacy. 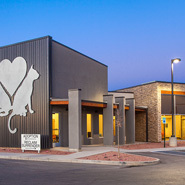 Airflow is critical in feline areas and specialized filtration systems allow us to provide numerous air changes yet maintain energy efficiency. 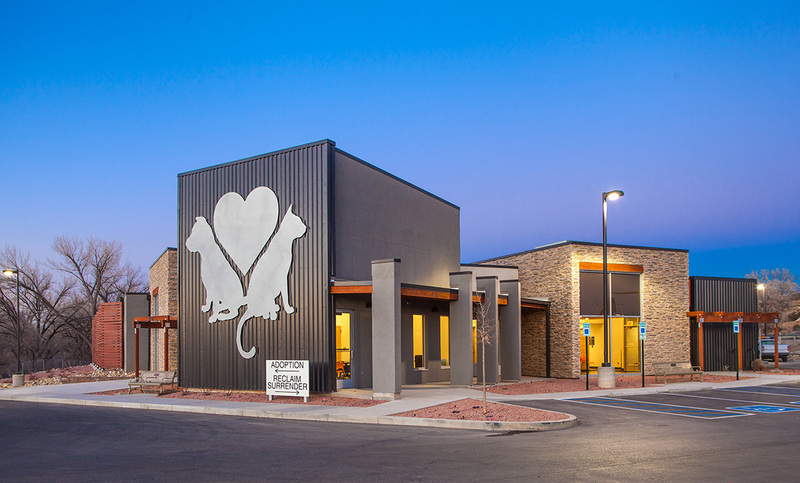 From concept to completion, BDA will walk every step of the way with you, including you in the creative process leading to the creation of a new shelter that fits all your needs. 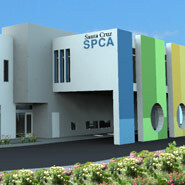 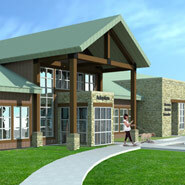 The final design will serve your animals, staff and visitors, catering to the unique needs of each. 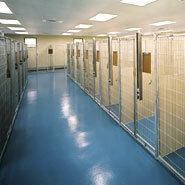 Your new shelter will be fun to visit, simple to operate, easy to clean, and healthy to occupy. 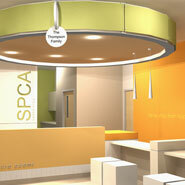 BDA's experience and expertise is especially suited to projects where budget is a primary concern. 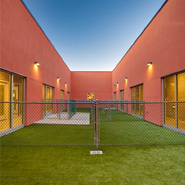 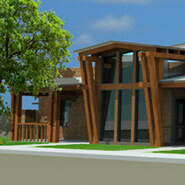 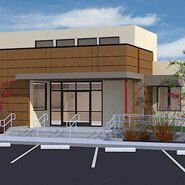 Whether your shelter is 5,000 or 50,000 sq ft BDA will bring a unique combination of innovation, function and economy.